Children are any nation’s future, and the conditions in which they live influence to what extent they develop into healthy, happy, responsible and productive adults. Children’s living conditions also to some extent indicate the priorities of families, communities and nations. 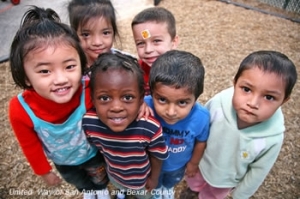 Take this quiz to learn more about the living conditions of kids in the USA. 1. What percentage of U.S. children live with two married parents? 2. What percentage of U.S. children speak a language other than English at home? 3. What percentage of U.S. children live in poverty? 4. What percentage of U.S. children live in counties with pollution levels exceeding current air quality standards? 5. What percentage of U.S. children 6-17 years old are obese?